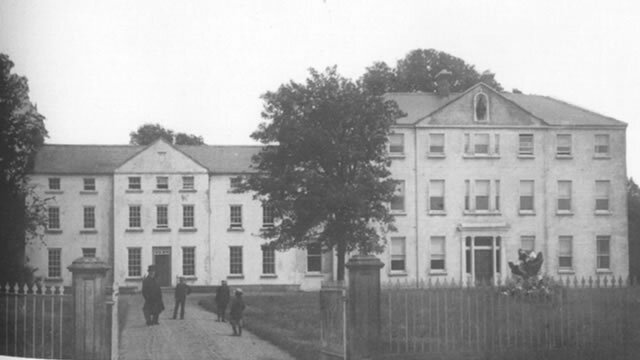 Knockbeg College traces back its origins back to 1793 when a lay school for boys was established in Carlow College, St. Patrick's in conjunction with the seminary there. In 1847, it was decided that the young pupils in the school should come out to Knockbeg, which had been a gentry estate on the banks of the river Barrow before being purchased by the diocese of Kildare & Leighlin. The initial school had about 40 pupils but the numbers grew as all the lay pupils from Carlow College, St. Patrick's transferred out. In 1898, the school became the official junior seminary for the diocese. To this day, our aim is to offer a holistic Catholic education to our pupils. Through the years the boarding numbers in the college built up to around the 160 mark and the number of pupils in the school increased in the 1980's when day-pupils were taken in. At, present, there are approximately 380 pupils in the school. In 1993 we celebrated our bicentenary and much development work took place in conjunction with that event. Since then other development work has taken place and in December 2006 the Department of Education and Science gave its approval for the school to proceed to architectural planning and design. Since that approval, progress has been very slow, due to the requirement for a conservation architect to give a decision on whether parts of the building should be retained for heritage reasons or not. The appointment was eventually sanctioned in January 2009 but it took another year for the appointment to be made. Eventually the report was delivered in June 2010 and it designated all parts of the College except the 1960s wing as heritage buildings. These will be incorporated into the new building and the Department has already designated the future educational use of the rooms in the conserved buildings. The tender process for the Design Team's appointment has started and the team will be finalised by March 2012 when the actual design will start.